Do you have to spell the word “B-A-T-H” in front of your dog to avoid dragging him out from under the bed? 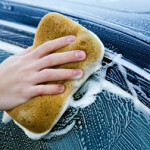 Here are ways to make the process more pleasant for both of you. Dogs pick up on your cues (but you knew that, right?) If you are calm and happy about bathtime, Lucky will respond in kind. For some dogs who have had unpleasant bathtime experiences, don’t announce it, just pick up or lead your dog, and begin. 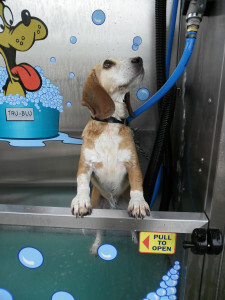 Feel free to bring Lucky in with you to explore our Dog Wash area before you come in for a bath. Let your dog check out the area, and even get in (tossing a treat inside helps) without turning on the water. 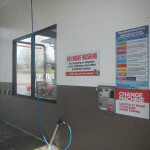 Your dog will associate the dog wash station with a fun time out, time with you, and treats. This is especially important with long-haired breeds. Groom your dog’s hair with a brush, taking out tangles, clumps, burrs, etc, and getting rid of extra hair. This is more time together in close contact, improving the trust bond between you and your pet. When it’s time to have that bath, keep it fun and shower your pup with treats as well as praise. 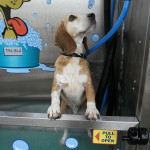 You want your pet to associate bath time with fun and attention! The dog wash area at Suds ‘n Pup will set you both up for success. Our non-slip surface, easy-to-use wands and simple walk-in/walk-out access will make bath time easier than it is at home!